Buying a gift for any man is no easy task. After all, you cannot make them happy with just a box of chocolate and some flowers or a new dress. So if your husband’s, brother’s or dad’s birthday is around the corner or there is a special occasion how do you pick the right gift? A gift that is going to leave them in shock and awe. Luckily, we have got your back. Our team of experts (most of them men) bring to you 25 of the greatest gift idea for men in India. Ladies, you DO NOT WANT TO MISS THIS OUT. 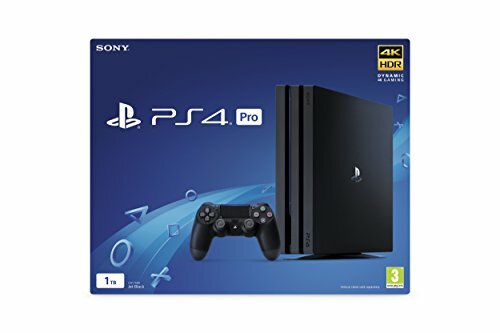 If there is one gift idea no woman can ever go wrong with it is with a PlayStation 4 (sure to light up his face like a 1000W bulb). And more so if he has played games at a professional level in school or college. Not just him, even you and the kids can join in as well. VR or Motion Sensor games take fun to a whole new level. Not to forget it will leave you in absolute awe with its amazing graphics. We promise game night will become a thing in the family. Alternatively, you can also go for an Xbox depending on the gaming console of his choice. 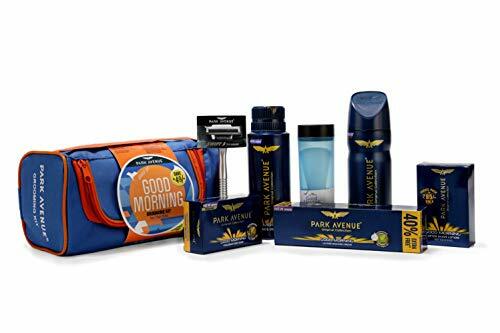 If you are looking for a mid-range birthday gift for men in India, a grooming kit is just perfect (because who does not have a beard these days, right?). Also, truth be told, men are just to lazy to go visit the barber. Also, grooming kits happen to be universal. So whether you needed a gift for your brother, father, boyfriend, best friend or husband, it can be the way to go. A grooming kit mostly includes shaving cream, shower gel, after shave, deodorant, etc. You can also opt for a multi-grooming trimmer like the Philips MG7715/15. Find out more about the best trimmers for men in India to find the right pick based on his needs and your budget. Well, if love could be calculated in terms of money, buying an Apple product for your husband or brother would be right up there 😉 . 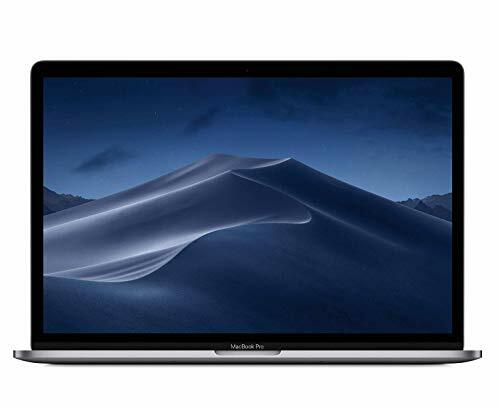 On a more serious note, a MacBook Pro makes for an ideal laptop for any professional video editing, graphics artist or programmer. Its power-packed features and the new Touch bar that is more than handy, it sure is worth the big bucks. On the other hand, an iPhone Xs is one of the most advanced and feature-rich iPhones yet. From being water-resistant, a jaw-dropping display to a camera that will have him clicking photos with you all day, this is one gift he is never going to forget. We’d call this the couch potato’s birthday gift. From setting alarms, playing music, giving you up to date weather reports, scores to controlling smart home devices or making food orders on Zomato, now get it all without even pressing a button. Yup, the Echo is just the kind of assistant that will spoil you. Plus, it also has a 360-degree omnidirectional speaker that delivers mesmerizing sound just like any high-end speak would. 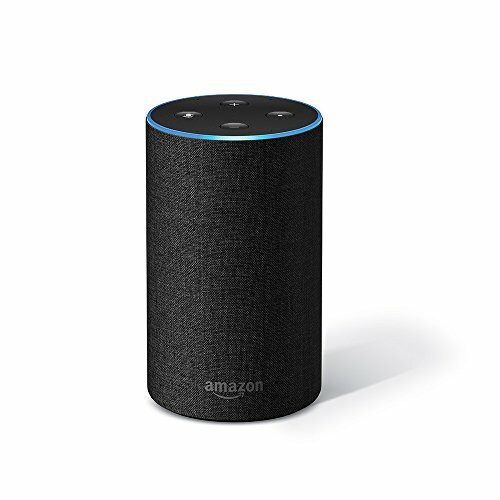 You can also opt for the cheaper and smaller Echo Dot if you are on a budget. Though cheaper it does not compromise on quality. 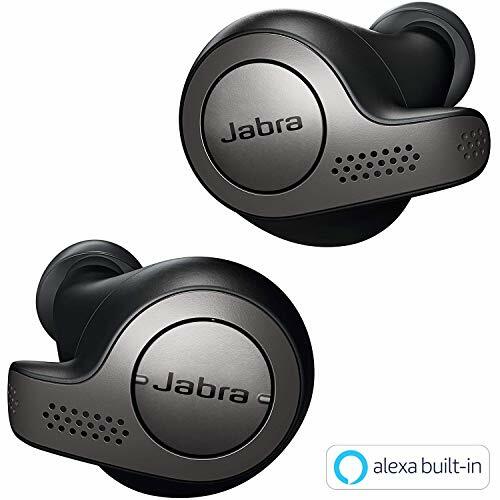 The Jabra Elite 65t has been creating waves ever since its release in 2018 as these are one of the very few in-ear earphones that are Alexa Enabled. Also, they are super styles and being wireless make for the perfect gym or running gear (and no they won’t drop out either). More importantly, their sound quality is exceptional and can deliver a decent 5-hour battery life and even rapidly charges in 15-minutes giving you a runtime of 1.5 hours. It also has an IP56 rating which means you can continue to make your calls or listen to music even if there is a drizzle (your challenge is going to be not keeping them for yourself). 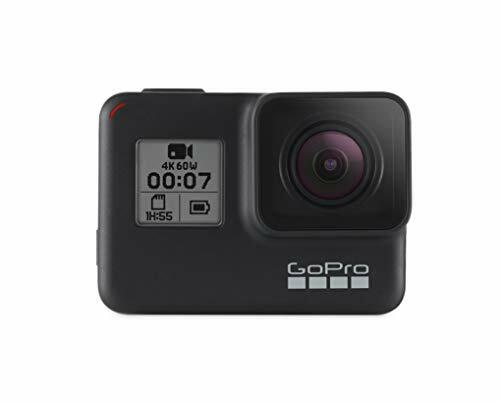 If he has a dream of starting his own travel blog or YouTube channel or simply is a travel freak, the GoPro is the perfect way to show your appreciation and support for it. The standout feature of the Hero 7 is that it can shoot 4k videos even as deep as 40-meters, 60-meters if used with a dive housing. It also has in-built stabilization, time warp, live streaming, slo-mo, etc. And to top it all, it is voice controlled giving you unmatched control, quality and durability whether you are deep down in the waters or high up on the hills. If there is one game men love playing at bars and cafes it is foosball and now you can bring the fun and excitement into your home. 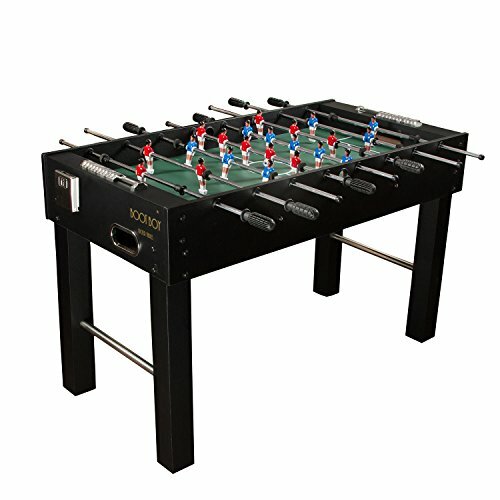 Foosball tables are available for about Rs. 1,500 to Rs. 3,000 and is sure to rev up any get together or weekend with the family. And if your husband or boyfriend happens to be a football freak (just like me) well, you have certainly just made their day epic. 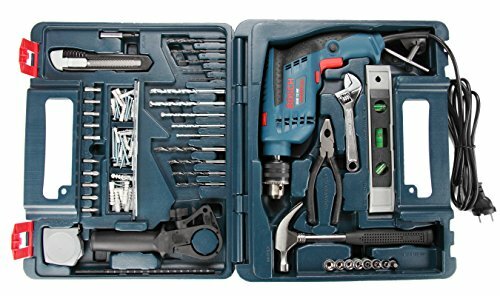 Well, if your husband has been shying away from helping you with household chores because he ‘does not have the right tools’ a drill kit is just the gift he needs. You can go for the Bosch GSB 13 RE. With 600W or power, an rpm for 2800 and multiple speeds, it can drill through pretty much anything you throw at it. And with its reverse function, unscrewing will take mere seconds. Also, since it is ultralight, he can work with it for hours without tiring out while the case makes it possible to safely store and carry the drill around when need be. For more options, this guide on the Best Drills in India for 2019 should come in handy. You husband no longer needs to stuck with his laptop in order to view the IPL matches on Hotstar or his favorite TV show on Netflix or Amazon Prime. 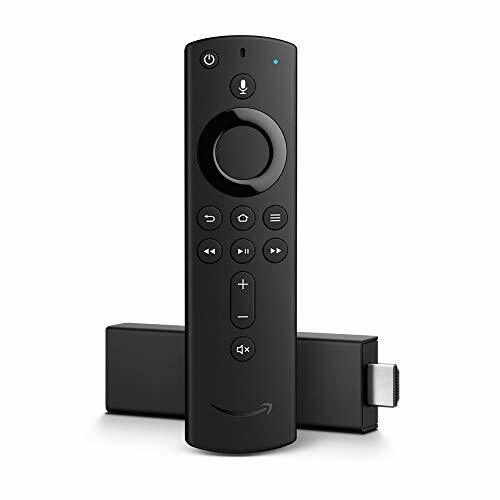 With the Amazon Fire TV Stick, he can watch his favorite programs from anywhere in the world as long as there is an HDTV around with an HDMI port and a Wi-Fi connection. One of the most unique things you will find on the list is the Travel bar set. If your husband loves to go out camping and does not want to miss out on his evening whiskey, there is hardly a gift better than this. With a pure Italian Leather build on the outside and royal velvet on the inside, it sure shouts luxury but is also scratch-resistant and durable as well. For easy carrying, the handle can be adjusted in seconds. 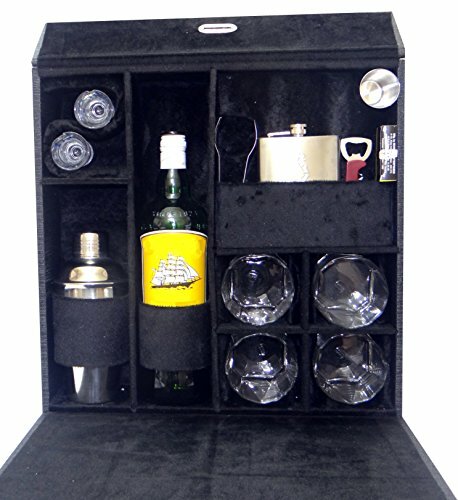 It has ample space for 4 whiskey glasses, 2 shot glasses, 1 cocktail shaker, 1 Hip flask of 8 oz capacity, 1 Playing card set, 1 Ice Picker, 1 Peg Measure and 1 Opener (pretty much everything he and his gang will ever need). 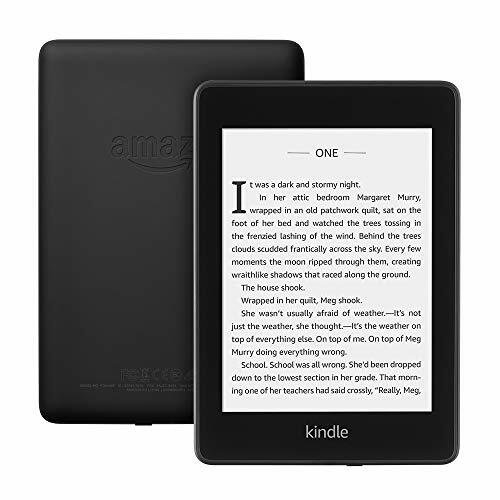 First and foremost, unlike your mobiles and tablets (even the fanciest of ones) it has zero glare even on the brightest of days so you can view the 6” display very easily. Secondly, the battery will last you for weeks and thus makes for the perfect travel companion. And lastly, you have tons of books in various languages to choose from (whether he prefers to read in Hindi, Marathi, Tamil or Malayalam, there’s a book for everyone). Be it style or utility, the Samsung Gear S3 has got it all and is going to make your life a whole lot easier. How? Well, no more do you have to worry about holding your phone for everything. From answering/rejecting calls, browsing apps, turning alarms on/off, everything can now be done with a simple turn of the bezel. It also gives you full control over the music and even has a 4GB memory so you can directly download and store your favorite songs on it. 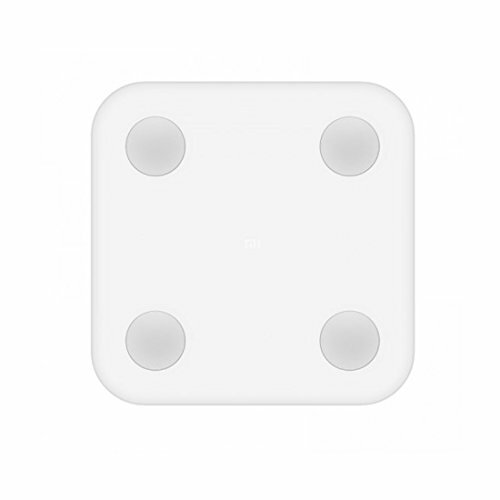 It charges in just 40-45 minutes but the feature that we love most is its IP68 Rating. This means it can sit in 1.5meter deep water for about 25-30 minutes without any damage. Plus, it is resistant to shocks and temperature as well. 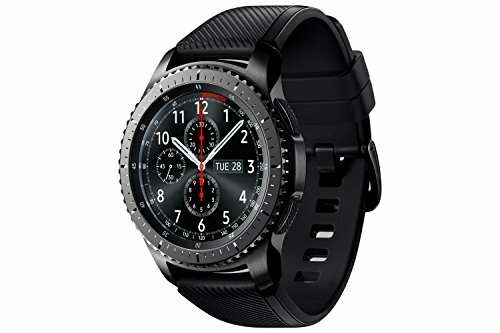 Add to that features like GPS, accelerometer, gyroscope, heart rate sensor, barometer, and altimeter and you have just the watch you need for a traveler boyfriend, friend, etc. If your boyfriend or husband plans to make a career out of photography, you have the opportunity to give the one thing he will never forget, his first DSLR camera (the camera with which it all began). Yup, buying a decent DSLR no more requires you to spend lakhs, you can now get one for less than Rs. 25,000. And even for a cheap camera, the EOS 1300D packs a punch with its attention-grabbing daylight and low light photography. There also various modes and a learning guide that will get them accustomed to the camera in a day or two which makes also makes it a great buy for hobbyists photographers. 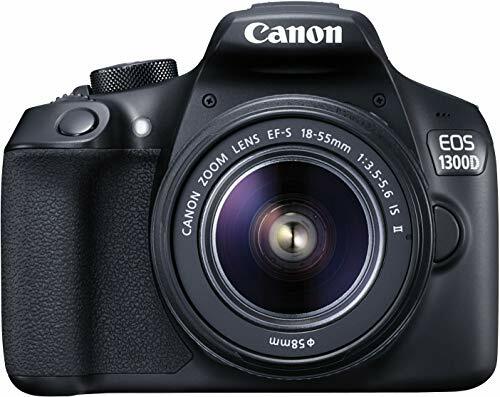 But the EOS 1300D isn’t the only camera available under 3ok, there are plenty more and you can read all about them on ProdutExpert. 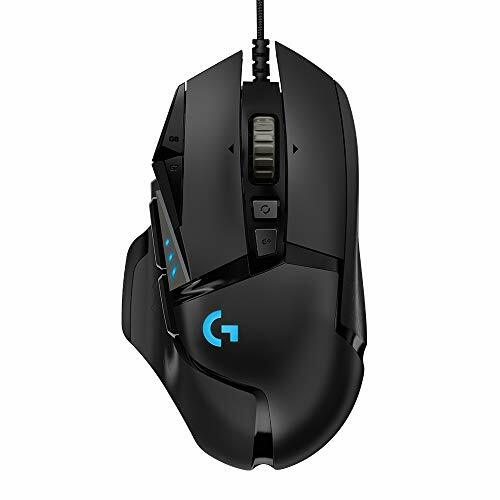 If your partner isn’t much of a console gamer and prefers to stick to his desktop or laptop for it, a gaming mouse like the Logitech 502 Hero is an absolute monster. Not only because of its looks but also features that will blow him away. The 11-programmable buttons, there are plenty of buttons for every freaking need. But it is not just the buttons, you can even adjust the weight of the mouse since it comes with removable 3.6g weights so you have the perfect feel. Lastly, the dual mode hyper-fast scroll in tandem with its amazing tracking speed and special Sniper button ensure you never miss headshot again. 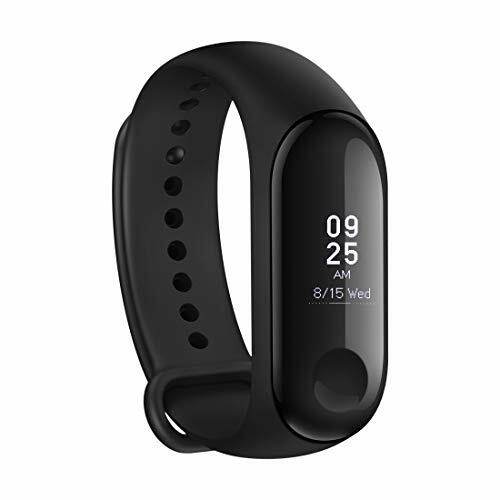 For the fitness freaks, this best-selling fitness tracker in the ultimate buy, and offers the best bang bang for the buck. With it, you get real-time updates of your heart rate, speed, etc. whether you are walking, running, cycling, or even swimming as it is water-resistant up to 50m. Its battery will last you about 18-20 days with standard use. It will also send notifications reminding them of their goals, events, alarms or even to take a small walk if they have been idle for too long. 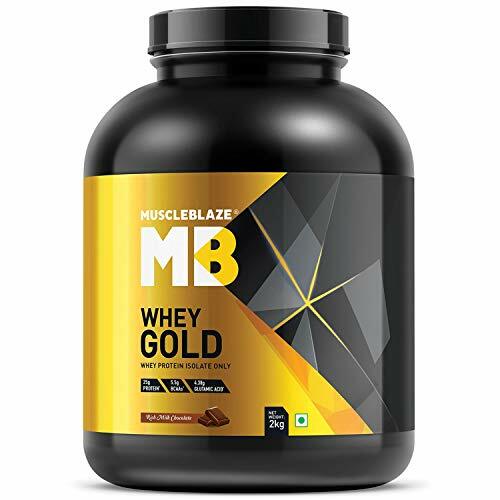 If your partner has been sweating it out in the gym to get all ripped for the summers, the best thing you can get them is a boost of energy in the form of Whey Protein. This protein supplement contains 25g of protein per serving. Plus, it also comes with 5.5g BCAA, 1.65g carb and 0.46g fat per serving making it one of the most loaded protein supplements in India. So it isn’t just about building muscles, the supplement also prevents muscle loss, boost recovery and delay fatigue thus enabling the user to workout longer and stronger. Men have a casual sense of fashion. 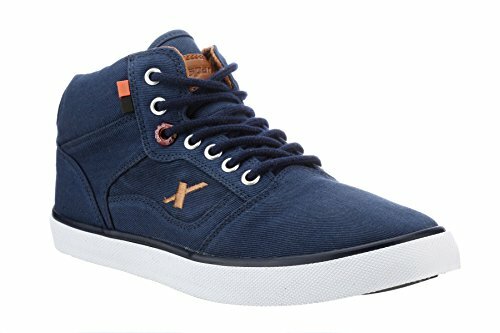 Some would say none at all which makes these Sparx sneakers a very good addition to a man’s wardrobe. Not only are they trendy and stylish which makes them a great option for everyday casual use but also come with an anti-skid sole which adds to the comfort. Also, these are washable so any stains and dirt should be easy to remove. If maintained right, these shoes should very well last for 2-3 years. 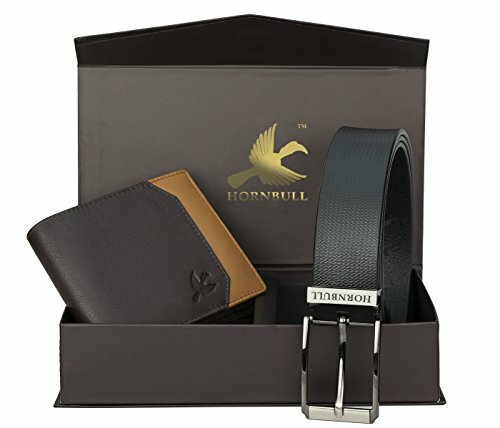 Furthermore, helping you add to the fashion quotient of your man’s wardrobe is this wallet and belt combo that you can buy for less than Rs. 1000. The wallet has multiple compartments where he can store all his cards, ID proofs and cash. It also has a pocket to stash the coins and zipper pouch for important stuff. The best is a 35m long traditional buckle belt that will go well with most formal clothing as it is black in color. It isn’t exactly pure leather but nonetheless a good combination of style and cost-effective gifting. The reason sunglasses make for excellent gifts is because they are cheap but at the same time have multiple benefits. They don’t just help a person make a style statement but also protect the eyes from the harmful rays of the sun. 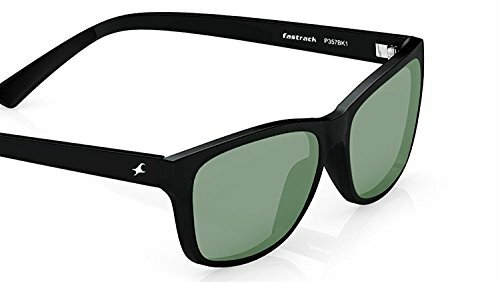 Square sunglasses are the trend these days and they do not get any better than the Fastrack P357BK1. 100% UV protected, these Smoky Grey glasses with the plastic frame provide both durability and just the accessory a man needs to lift up the casual jeans and shirt combination. If you have a friend who is a graphic designer, animator, video editor or simply has a huge collection of movies, games, songs or even TV series, an external drive is the need of the hour. 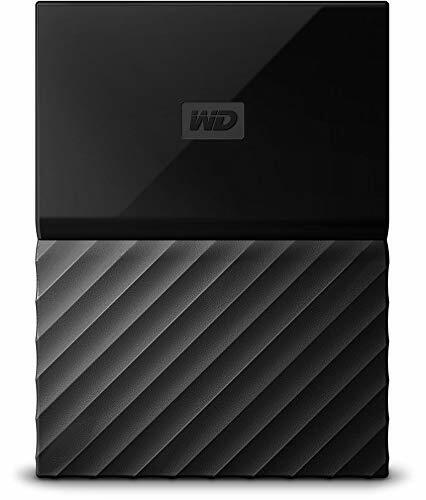 The My Passport External disk by WD has a whopping 4GB storage space so you can dump in it anything you want. It is also solidly built and can even take a fall (no wonder it is backed by a 3-year warranty). All your files remain safe and secure thanks to the password encryption feature of the WD backup software. This software also helps you get automatic backups and since it has a USB 3.0 port, data transfers are quite quick. 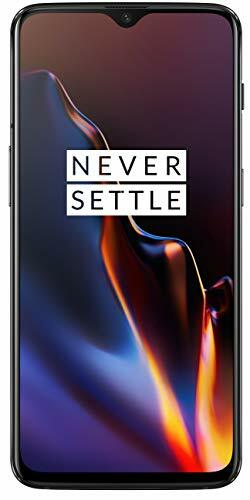 If there is one thing I have been looking to buy for a long time now it is the OnePlus 6T (anybody in the mood for sending me a gift?). It is the best smartphone under Rs. 40,000 and for good reason. Its Qualcomm Snapdragon 845 can handle all kinds of gaming (PUBG, Fortnite, Pokémon Go, whatever, just bring it on) and allows for seamless multi-tasking. Add to that more screen area, a 6GB RAM and excellent dual cameras and you give your husband a phone he won’t be able to stop showing off. Read more about the OnePlus 6T and other smartphones under 40k you can buy in 2019 here. What is life without good music, right? 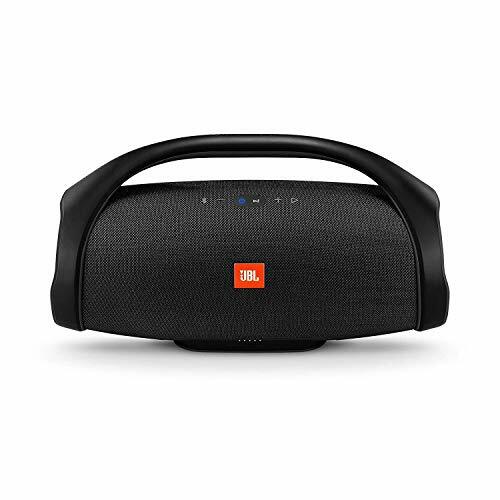 Whether you are happy or sad, there is a song for every mood and from the legendary brand, JBL comes an absolute peach of a speaker, the Boom Box. It has a run-time of 15 hours which is good enough to last you the entire day and will amp even your pool and swimming parties since it has an IPX7 waterproof rating. Their portability makes them perfect for travels. It also gives you the ability to connect 2 smartphones at once and play song alternatively from each phone. And providing the icing on the cake is the 20000mAH built-in power bank in the speaker that lets you charge your phone anywhere without the need for a separate power bank. Whether your hubby is trying to lose weight or bulk up, another gear anybody on a diet or gym routine needs is a weighing scale. And Mi Body Composition Scale is no average joe. It syncs with Mi-Fit App so you can view all the results and track your progress via the mobile itself. But the standout feature of the scale is the ability to measure Muscle mass, BMI, Bone Mass, Body Fat, Water Content, Body Score, Basal Metabolism and Visceral Fat with utmost accuracy. Plus, it stores a total of 16 profiles and thus can be used by anyone in the family and is available for less than Rs 1,500. Check this Weighing Scale Buying Guide for more alternatives in case you prefer a cheaper option. You are rarely going to see your man in the kitchen sweating it out and cooking for you but there is a yummier alternate, get a barbecue grill. 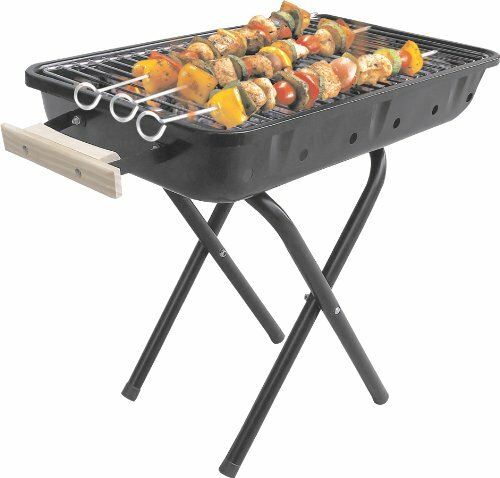 Believe it or not, men love to grill and whether you have a backyard or not, this grill can be used anywhere (even inside the house). Why? Because of its highly portable and lightweight design. Plus, it takes about 10-minutes to put together and when all the grilling is done, just remove the legs and put away.